You can manually assign helpers to shifts at any time. If some of your helpers always help during certain shifts ("pinned" helpers) you can assign only those helpers and use Save Template (so that when you Import and AutoFill in future weeks, those helpers will already be assigned). 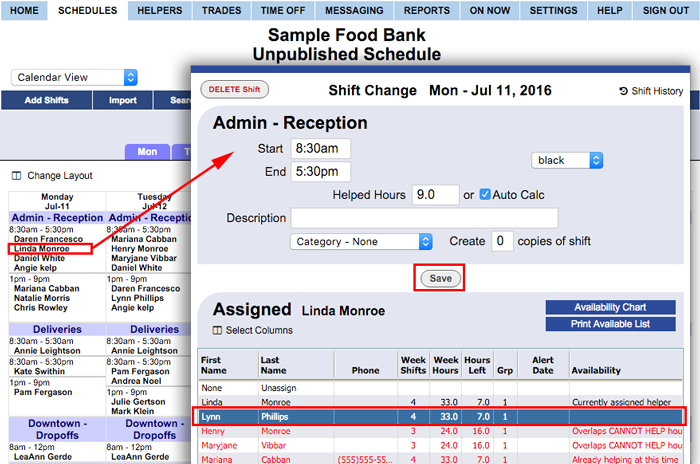 You can manually assign helpers when Adding Shifts or later by Editing a Shift. 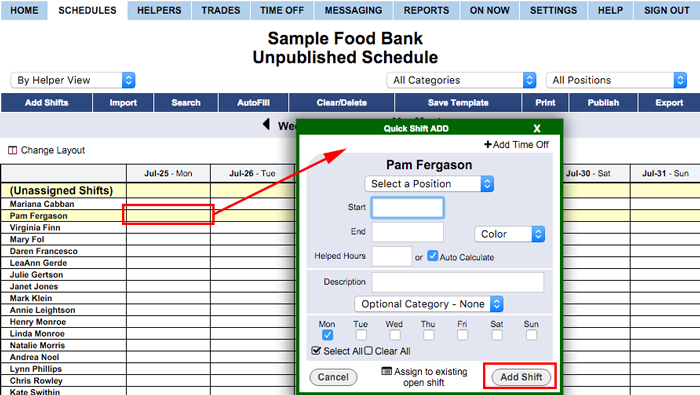 You can use the By Helper schedule view to quickly add a shift for a helper by clicking the cell for the helper/date. You also can assign a helper when you Add Shifts.